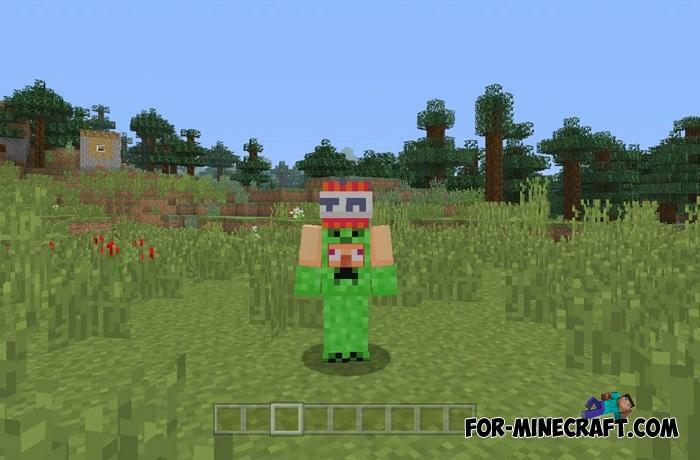 Free skin pack from Minecon 2018 collected by gio90soul for all fans of Minecraft Bedrock. 8 amazing skins are in this pack and you can install them all at once and use in co-op or multiplayer, and of course in a single game. 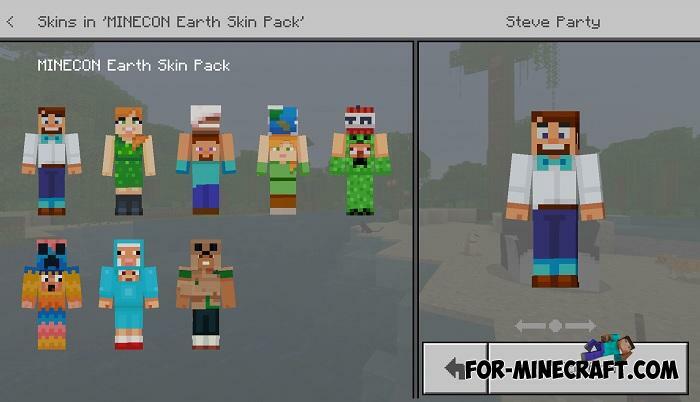 Choose between the following skins shown during Minecon 2018 last year where many new things were presented as well as some features from 1.9, and now it is Minecraft PE 1.10. Like past Minecons, this one has the same high-quality skins for different genders. Some have remained the same since the 2017 conference. How to install the Minecon 2018 Skins? 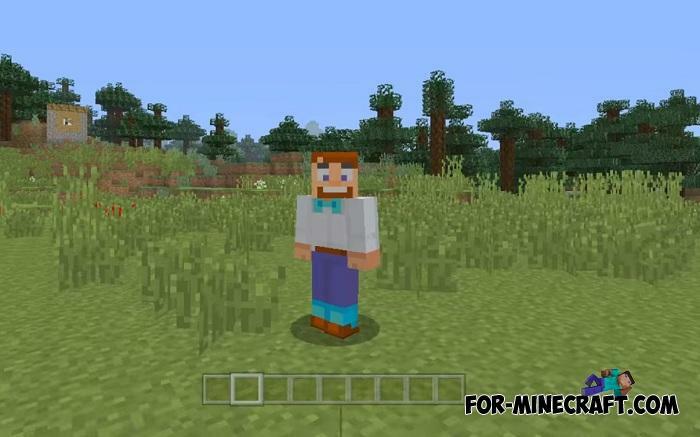 Yellow Steve addon for MCPE 1.2.6Did you think that yellow Steve is a myth? In fact, there are many different Steves..